Here’s the conclusion to our blog series Trucking Company Negligence in Truck Accidents: FAQs. 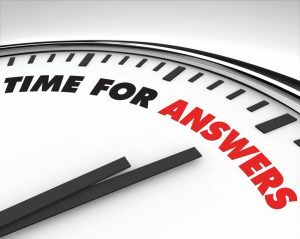 Q – How long does it take to resolve claims alleging trucking company negligence? Here are some more answers about trucking company negligence in truck accident cases. For experienced help with your financial recovery after truck accidents, contact us today. Become far more complicated when there are multiple negligent trucking companies (or even just multiple negligent parties) involved in the case. The effort can ultimately pay off big time for accident victims, as these people can obtain the financial resources they need and deserve to pursue essential medical treatments and recovery from a serious accident. Having an experienced attorney representing and fighting for injured people’s rights will be crucial to obtaining the best possible outcomes from these cases in the most efficient possible manner. Q – What challenges should I be prepared for if I move forward with a claim against a negligent trucking company? Time – As noted above, these cases can take some time to resolve. When plaintiffs are concerned about getting justice now and the wheels of justice are slow to turn, this time and waiting for a resolution can be challenging for some people. Money – Financial stress can be a very serious impact of truck accidents, as injured people may have to simultaneously deal with expensive medical bills while not earning any income because their injuries are preventing them from working. Experienced defense litigators – Trucking companies, especially the bigger, more prominent ones, tend to have in-house corporate attorneys ready to defend them when people allege corporate negligence has hurt them. This can end up creating a David versus Goliath situation for injured people, who can lack the legal expertise to know how to effectively stand up to these attorneys. This is also where having an skilled lawyer – like Colorado Springs Truck Accident Lawyer Kenneth Shakeshaft – on your side can make all of the difference in the success and outcome of a case. Q – Should I retain a lawyer to help me with my truck accident lawsuit? After truck accidents, injured people will probably need to concentrate on their physical and psychological recovery. Having Colorado Springs Truck Accident Lawyer Kenneth Shakeshaft to help with the pursuit of financial recovery is the best way secure justice and compensation after trucking company negligence causes truck accidents. Have you or a loved one been hurt in a truck accident? If so, Colorado Springs Truck Accident Lawyer Kenneth Shakeshaft is ready to advocate your rights, help you recover financially and ultimately help you put your life back together. Since 1982, Kenneth Shakeshaft has been providing people injured in traffic accidents with superior legal service, and he’s ready to put his experienced to work helping you.